I enjoy wearing eye make-up, and sometimes, I like to get a little dramatic with it. As my fellow smoky eye-wearers know, the downside is taking it off at the end of the night. And I do mean completely off. I’ve tried many eye makeup removers, but my favorite of all time is definitely Mary Kay Oil-Free Makeup Remover. I’m convinced there is no better eye makeup remover for the price ($15). I have my dear friend Amy to thank for this find. A few years ago, I was visiting her in the DFW metroplex, and I had forgotten to pack my eye makeup remover. Amy said she had just the thing for me. According to the Mary Kay website, their Oil-Free Eye Makeup Remover “Gently removes eye makeup, including waterproof mascara, without tugging or pulling the delicate skin in the eye area. Formula does not leave skin feeling dry.” It’s all true! Amy is a fan of this product because it’s gentle enough and recommended for contact wearers. You have to basically scrub the makeup off your eyes. Totally a no-no for this delicate area. The remover takes off makeup without scrubbing but, rather, leaves behind an oily residue. Neither is a good option. I apply Mary Kay eye makeup remover to a cotton round, gently press the dampened cotton round to my closed eye for a few seconds to allow it to penetrate my eye makeup, and then gently wipe off. All clean! The only negative about this eye makeup remover is that because it’s a Mary Kay product, you have to buy it through a Mary Kay representative. That is, you can’t just run to the store when you’re out of it. You need to anticipate running out and schedule a delivery with your Mary Kay lady. This is an Allure Best of Beauty product for good reason. I have used other eye makeup removers with equally good results, but they cost a lot more (e.g., Dior Instant Eye Makeup Remover, $28). So find yourself a Mary Kay rep, and I better not hear that you’re not washing off your makeup every night! NOTE: I know my photo shows me wearing relatively little eye makeup, but I’ve totally caught cedar fever in Austin and my eyes can’t tolerate much makeup these days. I promise this eye makeup remover is up to any challenge. In this photo, I’m wearing L’Oreal Lineur Intense Felt-Tip Eyeliner and Dior Diorshow Iconic Mascara per my Ten-Minute Face. This entry was posted in Vanity and tagged eye makeup remover, gentle, Mary Kay, oil-free, prized product, review, smoky eyes, top rated on January 6, 2012 by jenn. If you ever need a Mary Kay rep, I ship for free! I’ll be contacting you soon for a new bottle, Ashley! I’m glad you shared what you use with the product – a cotton round. I’ve been using Almay sensitive skin, oil-free eye makeup remover pads. They often work great, but every once in a while, I’ll get a container where the pads haven’t kept their moisture. Very annoying. Back in the day, I used to use those Almay pads, so I definitely know what you’re talking about. With the separate liquid, I apply some to one side of a cotton round for one eye, then flip over and apply a little more remover to the other side for the other eye. 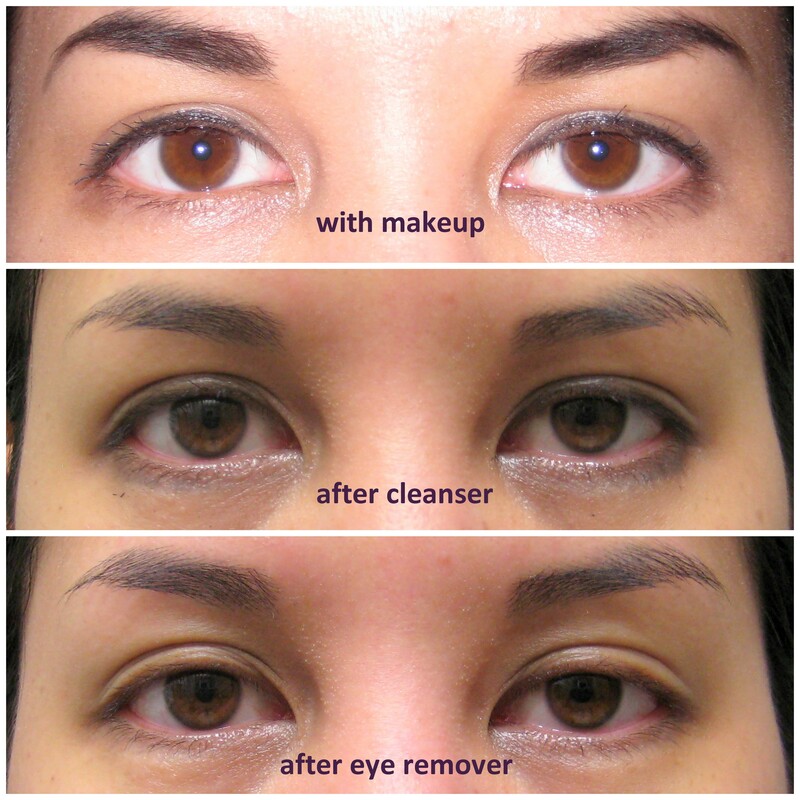 Make Up Forever Sen’s Eyes Make Up Remover for Sensitive Eyes. Hands down. I am a true believer. $24 a bottle lasted me a year since it comes with a pump. Have you tried it and what do you think? I have not tried that product but good to know about! The mascara is awesome too! I love it.